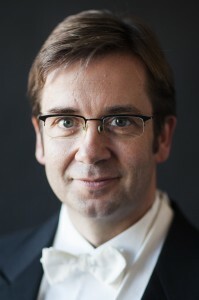 Baritone Christian Hilz is internationally renowned as a versatile interpreter of the concert and operatic repertoire. He soon attracted widespread attention through a number of guest appearances in the leading musical centers of Europe and America. He repeatedly was invited to sing at Vienna’s Musikverein, Salzburg Pfingstfestspiele, Boston Early Music Festival, Lucerne Festival, Concertgebouw Amsterdam, Alte Oper Frankfurt, Würzburg Mozart Festival, London Proms at the Royal Albert Hall, Prague Spring, Schleswig-Holstein Festival, Auditorio Nacional in Madrid, Weimar Kunstfest, Ludwigsburg Festival, Ansbacher Bachwoche, Ruhrtriennale, Philharmonies in Köln, München and Berlin. He is sought-after in the baroque repertoire as well as in classical and contemporary music and works with conductors such as Andrew Parrott, Martin Haselböck, Nicolas McGegan, Joshua Rifkin, Ivor Bolton, Ton Koopman, Krzysztof Penderecki, Helmuth Froschauer or Juan Pons and orchestras such as Münchner Philharmoniker, Kölner Rundfunkorchester, London Mozart Players, Mozarteum Orchester Salzburg, Camerata Salzburg, Tonhalle Orchester Zürich, Orquesta Nacional de Espana, New York Bach Ensemble, Ensemble Tafelmusik, Wiener Akademie, Norwegian Baroque Orchestra and Stavanger Symphony. His operatic repertoire comprises about 35 baritone roles from Baroque and classical to contemporary opera which he performed in Wien, Amsterdam, Madrid, Valencia, Los Angeles, München, Düsseldorf, Potsdam et al. Recordings feature works by Bach, Handel, Telemann, Homilius, Mattheson, Meder, Mozart, Beethoven, Schubert, Schumann, Lortzing, Walter, Sterk, Klemmstein and Kleiberg. Christian Hilz received the award of Bavarian culture and the „Kulturförderpreis“ of his hometown Erlangen. He was teaching masterclasses in Germany, Russia, Austria, Suisse and Italy, he was head of the vocal department Early Music at the Hochschule für Musik in Trossingen from 2003 to 2005 and is now teaching as a professor for voice at the Hochschule der Künste in Bern.